The beautiful and scenic country of Costa Rica is one of the top tourist destinations in Central America. With landscapes that range from lush rain forests and active volcanoes to the spectacular beaches on both the Pacific and Caribbean coasts, there is plenty to see. For those who love to ride motorcycles, it can be an excellent way to explore the region since motorcycles can handle the variety of roads that range from smooth highways to poorly maintained dirt trails. 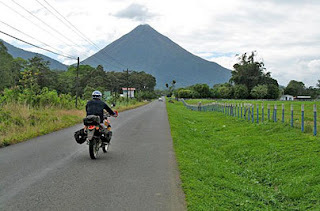 The following reputable tour companies offer a variety of motorcycle tours that include the latest motorcycles, bilingual guides, and even a support vehicle for luggage and technical issues. It can be an exciting alternative to simply renting a car or booking a bus excursion. This company, based in San Jose, provides guided, self-guided, and custom tours on a fleet of BMW motorcycles that include F650GS, F800GS, and R1200GS models. 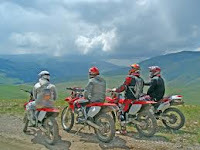 The guided tours cover the entire country from the Coast to Coast Adventure Tour to the Central to North Adventure Tour. Each tour includes lodging with breakfast, a six-day motorcycle rental, insurance, unlimited mileage and support vehicle with tour guide. The self-guided tours range from five to eight days in length and includes a "meet-and-greet" at the airport, hotel lodging, motorcycle rental, insurance and unlimited mileage, and a carefully crafted itinerary with highlights such as volcanoes, rainforests, and beaches. The custom tours can be completely designed to meet the needs of the individual. Itineraries can include Costa Rica, Nicaragua, Panama, or all three. All of their guides are bilingual in English and Spanish, but the company can also arrange guides who speak German, French, or Italian. More information can be found on their website: www.costaricabmwtours.com. This San Jose based tour company provides a variety of tours on a fleet of new KTM and Aprilia motorcycles. The three types of tours are divided into three categories: Easy Rider, which includes six self-guided tours; Guided, a nine-day tour with a bilingual guide; and Customized, which are individually designed tours. Each of the tours include airport transfers, hotel accommodations with breakfasts, and free mileage with insurance.The guided tours include a bilingual guide, several dinners, entrance fees to the national parks, a canopy tour, and a support vehicle for passengers and luggage. The six Easy Rider tours range from six days length for the standard tour down the Pacific coast to the 12-day Costa Rica Motorcycle Adventure, which covers most of the major attractions in the entire country. 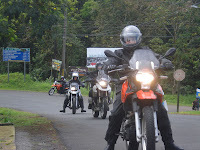 More information can be found on their website: www.costaricamotorcycletours.com. 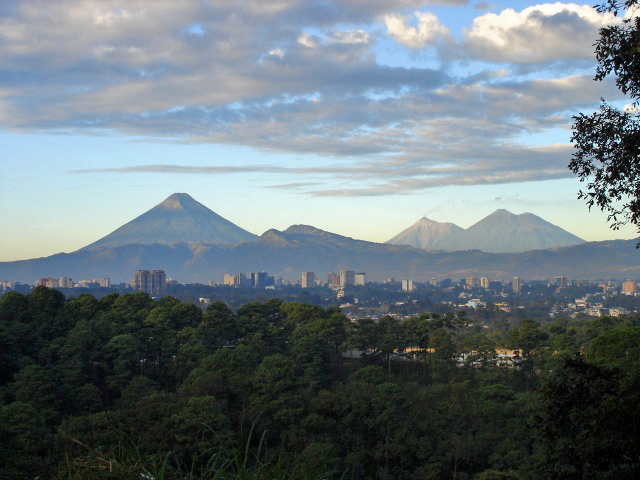 This tour company is based in the city of Alajuela near the Juan Santamaría International Airport in western San Jose. It provides a fleet of 18 KTM motorcycles ranging from road and dual sport to moto-cross dirt bikes. The variety of custom-designed tours range in length from one to six days, with a choice of motorcycles, accommodations, bilingual guide, fuel, tolls, daily breakfast and lunch. A fully equipped luggage and support vehicle is provided for groups of five or more. The company also provides sample itineraries for eight different tours but can customize any portion of the them based on the guests' wishes. 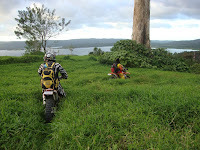 More information can be found on their website: www.mototourscostarica.com. 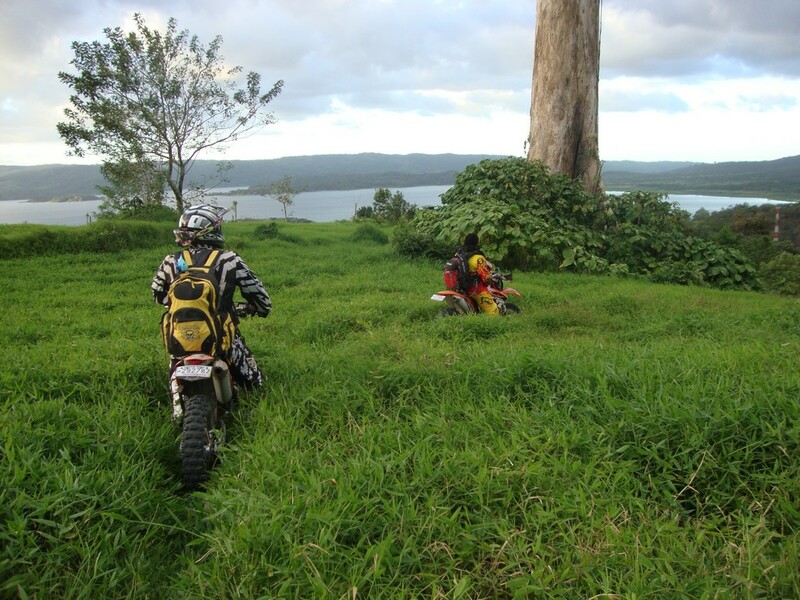 For those who enjoy even more adventure, this company, also based in San Jose, specializes in off-road motorcycle tours throughout the country. Founded in 1991, it includes a fleet of Honda XR400R motorcycles for six different tours: the "Adventure Tours," which range from one to three days in length that cover San Jose and the Central Valley region; the "Volcano Tour," which includes the Irazú Volcano; the "Coastal Tour," which includes the beaches of Manuel Antonio National Park; and the Nicoya Peninsula Tour. In addition, it offers a three-day, off-road riding school led by principal guide Larry Larrabure. Each tour includes motorcycle rental with fuel, lodging, and a support vehicle with all meals. But upgrades such as luxury accommodations, alcoholic beverages, canopy tours and national park entrance fees are available for an extra charge. More information can be found at their website: www.motoadventuring.com. This San Jose based company offers five different tours on a fleet of motorcycles that include the Honda XR250 Tornado, the Suzuki DRZ400S, and the Suzuki DR650SE. The tours range from one to three days in length and include destinations such as the Irazú and Poás Volcanoes, La Paz Waterfall Gardens, Manuel Antonio National Park, and other Pacific beach destinations. All of the itineraries can be completely customized based on the guests' desires and abilities. The tours include a fully equipped motorcycle, helmet, insurance, unlimited mileage, fuel, a bilingual guide, lodging, lunches, and even national park entrance fees. The company also includes a support vehicle for groups of five or more to carry luggage and spare parts. More information can be found on their website: www.wild-rider.com. Guatemala City, the capital city of Guatemala, is the largest urban area in all of Central America. It is home to more than four million people crammed across a flattened mountain range with four visible volcanoes on its horizon, two of which are active. Since the city serves as the economic, governmental, and cultural capital, most of the major highways in the country originate or lead toward this sprawling city, led by its main port of entry: La Aurora International Airport. The city itself is subdivided into 22 zones designed by urban engineering legend Raúl Aguilar Batres. The Zona 1, also known as the Plaza Mayor, includes the majority of the city’s important attractions. Each zone includes its own streets and avenues, and addresses are assigned by the street or avenue number followed by a dash and the number of meters it is away from the intersection. In theory, this makes it relatively easy to find an address but since there is no ordering of the zones, it can sometimes become virtually impossible to actually find a residence. But like other bustling Central American cities, people adapt and the address system becomes a way of life in this fascinating region. Each of the following hotels in Guatemala City offer luxury accommodations, excellent dining and a wide variety of upscale amenities. With convenient locations that also offer its guests with high-quality personal service, it is easy to understand why these are considered by many as some of the best hotels in the country. Real InterContinental Guatemala – Located in the heart of the Zona Viva (Zona 10), this award-winning, luxury hotel is within walking distance of upscale shopping malls, fine dining restaurants, and the financial district. The 14-story hotel provides 239 fully equipped guest rooms including a Presidential Suite, six Junior Suites, and 24 Business Suites. In-room amenities include soundproof windows, marble floors and baths, high-quality bedding with 300 thread-count Egyptian cotton sheets, and high-speed Internet connections. Other services include access to an outdoor swimming pool, Jacuzzi, a 24-hour front desk and concierge, and three on-site dining options: Café de la Paix (serving classic French specialties all day); Tanoshii (serving Japanese cuisine for lunch and dinner); and Saint Honoré (a casual boulangerie-patisserie). The friendly concierge can arrange everything from obtaining concert and sports tickets to airline reservations and car rentals. More information can be found at their website: InterContinental Guatemala City. Westin Camino Real - This award-winning, four-star accommodation is known as one of the most luxurious in the city. It is conveniently located in the Zona Viva district (Zona 10) near attractions such as El Obelisco, La Aurora Zoo, and the Francisco Marroquin University. Known for its high-quality, personal service for both leisure and business travelers, it offers 271 luxury guestrooms and suites with amenities such as city views, soundproof windows, ergonomic chairs, goose-down pillows, feather mattresses with Egyptian-cotton sheets, and flat-screen televisions. The property also includes a casino, a state-of-the-art health club, an outdoor heated swimming pool, and spa services. The on-site dining options include a fine-dining restaurant (El Cafetal) that provides a variety of international cuisine as well as a café and a bar/lounge with live entertainment. For added convenience, there is an also a free airport shuttle to La Aurora International Airport. More information can be found at their website: Westin Camino Real. Grand Tikal Futura Hotel – Located in Zona 11, just minutes away from the airport in an industrial area on Calzada Roosevelt, this luxury hotel is part of the Tikal Futura Complex, which includes 193,000 square feet of office space, a 160-store shopping center, a convention center, and a fitness center with indoor heated swimming pool and sundeck. The hotel itself is a spectacle to see with its towering glass architecture. It offers 205 luxury guest rooms including one Presidential Suite, two Diplomatic Suites, 14 Executive Suites and 12 Master Suites. All guest rooms include excellent views of Guatemala City and the surrounding mountains, wireless Internet access, and marble baths. The upper three floors (Royale Floor) of the hotel provides additional benefits such as Continental breakfast, all-day tea/coffee service as well as cocktails and canapés every evening. On-site dining includes La Molienda (serving breakfast, lunch, and dinner) and the Asia Grill & Wok (serving lunch and dinner). The entertainment center provides a 10-screen cinema and a bowling alley. 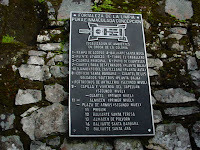 More information can be found at: Grand Tikal Guatemala. Radisson Hotel and Suites Guatemala City - This luxury hotel, tailored toward both business and leisure travelers, is also conveniently located within the Zona Viva (Zona 10). It offers 130 spacious suites designed with a blend of Guatemalan and contemporary styles divided into three categories: one-room suites (with standard amenities, kitchenette and sofa bed); corner suites (with standard amenities and great city views and two separate living spaces); and the ladies floor (designed especially for business women with several additional amenities). Standard amenities include flat-screen televisions, DVD players, floor-to-ceiling windows, a full-service business and fitness center, and complimentary wireless Internet access. The on-site El Huerto restaurant features international and local cuisine for breakfast, lunch, and dinner with an a la carte or buffet menu. 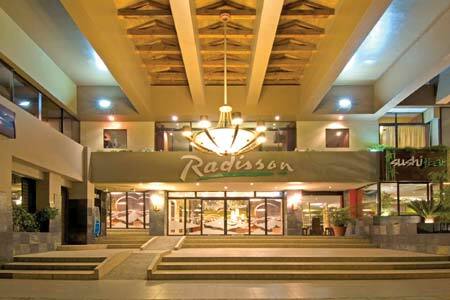 More information can be found at their website: Radisson Hotel and Suites Guatemala City. 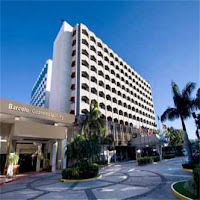 Barceló Guatemala City - This luxury hotel is located in the heart of the main business district (Zona 9). It provides 395 luxury guest rooms divided into six categories: Deluxe (standard amenities with one or two beds); Deluxe Executive (standard amenities and free access to the Club Premium Barceló with Continental breakfast, midday apertif, and afternoon tea); the spacious Presidential Suite (separate living room with master bedroom, and Club Premium Barceló amenities); Suite Duplex (two-level design with a living on the first level and a luxury bathroom on the second); Suite Duplex Family (similar to the Suite Duplex but with even more space); and Superior with Terrace (with terrace and views of either the volcanoes or the city in addition to the above amenities). Standard amenities include flat-screen televisions, courtesy bottled water, mini-refrigerators, wireless Internet access, a full-service business and fitness center as well as an outdoor swimming pool. The property also offers two on-site restaurants serving international cuisine, two racquet courts, a sauna, and three bars: a sports bar, a lobby bar, and an aqua bar located next to the swimming pool. More information can be found at their website: Barceló Guatemala City. 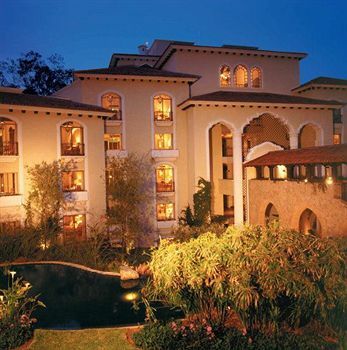 Hotel Vista Real, Guatemala – This luxury hotel is located in the heart of a quiet and exclusive residential area in Zona 15. It offers 123 suites (Master, Grand Class, Business Grand Class, and the Presidential and Governor Suite) complete with soundproof windows, large bathrooms, an entertainment center with television and mini-bar, and a full-service concierge who can arrange everything from car rentals and tours to airport transfers. Guests have access to the outdoor swimming pool with two Jacuzzis, walking paths through lush gardens, a fitness center, and a spa with massage and other treatments. The on-site Las Ventanas Restaurant provides fine dining in national and international cuisine with a Mediterranean influence. Best of all, most of the property provides excellent views of the nearby volcanoes. In addition, guests in the Business Class Floor receive luxury bedding with 480-thread-count Egyptian cotton sheets and personal butler service. The Presidential and Governor Suites include amenities such as a breakfast nook, separate rooms, and Jacuzzis. More information can be found at their website: Hotel Vista Real Guatemala. Located on the southern shores of the Río San Juan, approximately 45 miles from the city of San Carlos, is a historic fortress reminiscent of a Mayan temple. 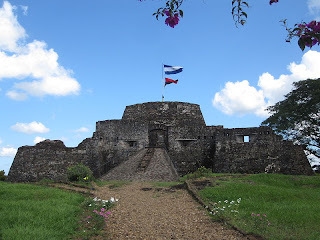 Known as El Castillo de la Concepción or El Castillo de la Inmaculada Concepción, it was built by the Spanish in 1675 as one of several forts to deter pirates from entering the river from the Caribbean Sea en route to the wealthy city of Granada. Due to its relatively navigable waters, the Río San Juan offered an easy trade route between Granada and the rest of the world. Unfortunately, it also provided pirates with easy access as well as escape routes. After Granada was pillaged and burned several times by pirates, the Spanish royalty ordered that this formidable-looking structure be built at one of the river’s narrowest bends. And formidable it was. According to Nidia Herrera Obregon, the director of the site, “It had dozens of cannons facing all directions with four bastions as well as a fully stocked armory of more than 10,000 weapons. Even the British Navy tried several times to seize control of it in hopes of dominating the trade route.” After a botched attempt in 1762, the British tried again in 1779 under the command of Captain Horatio Nelson. As strange as it sounds, they actually succeeded by attacking from the jungle side of the fortress instead of the river. Once Nelson departed after the triumph, the fort eventually succumbed to disease and it was completely abandoned by the survivors in a mass desertion. Today, the fort is one of the most important historical attractions in the region. As stated by Obregon, “In 1993, the castillo became a museum attraction and it includes a number of panels where visitors can read and learn about the history of the site as well as its variety of objects.” Its location on top of a hill provides excellent views of the surroundings and its overall appearance remains relatively the same as it was more than two centuries ago. 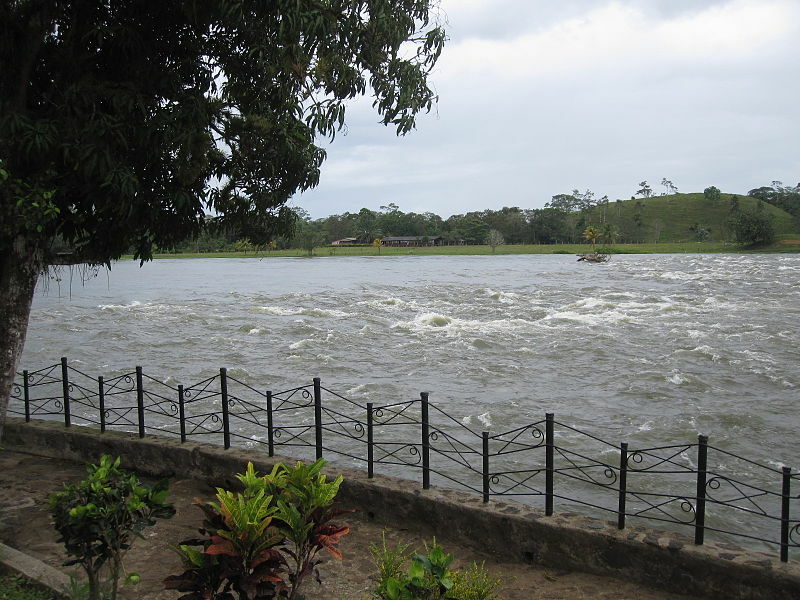 It stands as a quiet reminder of how important this river was to the Spanish colonials and the British Navy. 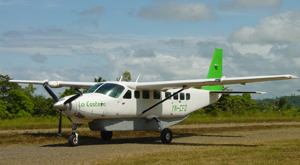 From Managua, there are three modes of transportation: 1) a short and fairly expensive flight on La Costeña Airlines (www.lacostena.com.ni) that lands on a dirt runway in the port city of San Carlos; 2) a 15-hour ferry ride from Granada: and 3) a nine-hour relatively direct bus ride. After arriving in San Carlos, it is important to remember that there is no road access to the fortress. So the only way to reach it is by the boats that depart from San Carlos near the mouth of the Río San Juan. The travel is provided by small speedboats, known as pangas, and the trip takes approximately two hours. Most visitors choose to hire a panga with a guide or simply book a tour from a reputable tour company. Further information about tours by two reputable companies are provided below. 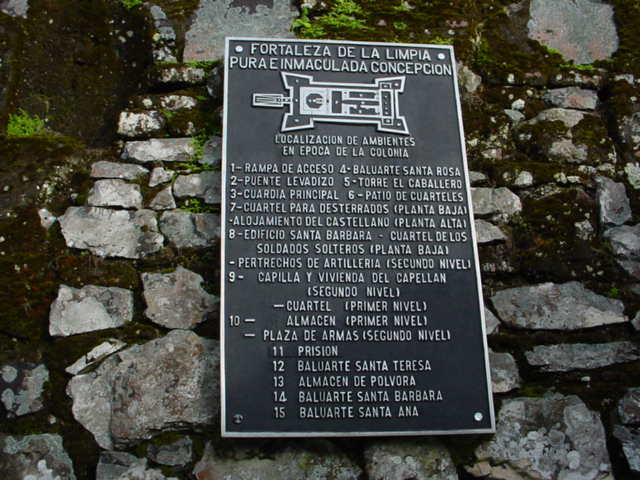 The layout of the fortress is approximately 161 feet in length and 66 feet in width with four corner bastions known as Santa Barbara, Santa Rosa, Santa Teresa, and Santa Ana. Its interior consists of three barracks, a chapel for officers as well as enlisted soldiers, a hospital, a prison, and a number of storage areas and workshops. The site is fairly easy to get around (except for the slippery moss) and there are only portions where the steps are fairly narrow and steep. For those wishing to climb to the higher levels, the addition of metal walkways provides easy access. To add to the overall historical appearance, the dark stone walls are covered with moss and the appropriate placement of artifacts such as cannons and cannonballs with smaller details such as rum bottles offers visitors a glimpse into life within its walls. In addition, the views from the four bastions provide four different perspectives where watchful troops once stood guard. 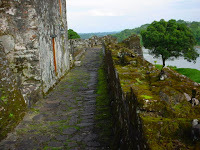 For those visitors who prefer a more structured and guided tour of the site, Servitours is a reputable tour company that offers trips to the fort. Most importantly, they also include roundtrip transportation, which removes the issue of finding a guide and a panga in San Carlos. The three-day, two-night Río San Juan-El Castillo tour includes all land and water transportation, a roundtrip flight from Managua to San Carlos, two night's accommodations, all meals and beverages, a bilingual guide, and admission fees. More information about Servitours and be found at their website: Servitours. Located between the cities of Masaya and Granada, Laguna de Apoyo is a volcanic crater lake formed by a volcanic eruption more than 22,000 years ago that left a hole in the shape of an inverted cone approximately 650 feet deep. 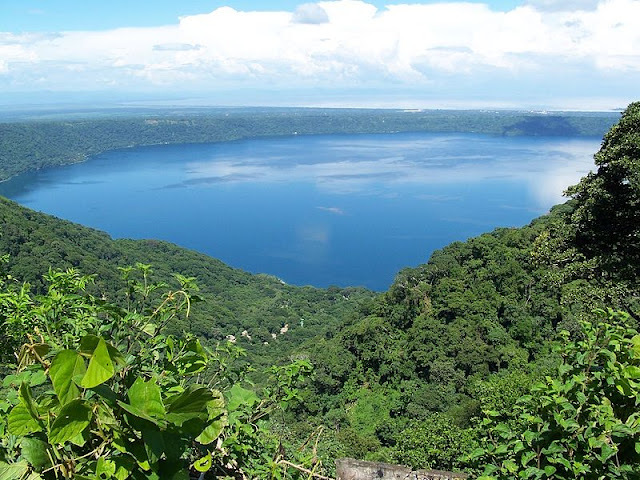 Slowly, over thousands of years, the crater filled with a combination of underground water and rain to form one of the country's cleanest and deepest lagoons. 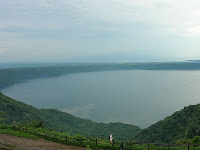 Since its establishment as a nature reserve in 1991, Laguna de Apoyo (also known as the Reserva Natural Laguna de Apoyo) is shared by many entities including the districts of Masaya and Granada. As a result, it is roughly divided into four sections with the districts of Catarina and San Juan de Oriente overseeing the northern and southern areas and the districts of Granada and Diría regulating a portion of the southern and eastern segments. The remaining pieces of this "pie" are divided up by Diriomo (Diría's twin town) and Niquinohomo (the Spanish colonial village and birthplace of Sandino). To complicate things, they are all under the jurisdiction of MARENA (the Ministry of the Environment and Natural Resources). The easiest way to get to the lagoon is by car where you can use one of four access roads in the towns of Catarina or Diría. Both towns have spectacular vantage points, called miradors, and should be visited once before heading down to the lagoon. Even though the four routes are marked with signs, they can be very easy to miss. They include: 1- The highway heading south from Managua to Masaya; 2- The paved road from Masaya to Catarina; 3- From the village of Catarina; 4- From the mirador in Diría. The following are affordable hostels located in and around the lagoon. Each are reputable and offer a variety of services ranging from renting kayaks to hiring local guides for hikes. They are listed in no particular order or ranking: Crater's Edge, La Orquedia Hostel, Monkey Hut Hostel, La Abuela Hostel, Norome Resort, San Simian Hostel, Spanish School/Hostel, Estancia de Adriano, and Puchas Inn Hostel. Hiking: For serious hikers who enjoy exploring, there is a somewhat chaotic network of trails located around the slopes, which are mostly within the reserve itself. To fully enjoy what the lagoon has to offer, it is best (at least the first time) to hire a guide. Several hiking tours have knowledgeable guides that can provide information about the wildlife but most importantly, they can also lead you around private property, which can sometimes avoid problems. The wildlife includes many species of birds along with howler and white-face monkeys (heard every morning at sunrise). A reputable tour company known as Oro Travel offers daily tours in and around the lagoon. More information can be found at their website: Oro Travel. Diving: The blue and somewhat clear waters of the lagoon provide a great place for scuba diving and snorkeling. 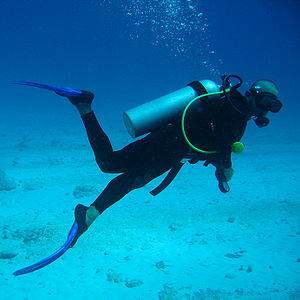 With its conical shape and the way the water changes into sudden darkness, serious divers can have a spectacular time. There is an ecological research station, known as Proyecto Ecologico, which also offers a Spanish Language School, Research Conservation Education, and an affordable hostel, in addition to activities such as scuba diving, kayaking, and birdwatching. More information can be found at their website: www.gaianicaragua.org. Paragliding: Private paragliders have been enjoying Laguna de Apoyo for years. But some companies are beginning to get in on the financial interest of this extreme sport. Paracrane Tours based in Costa Rica have frequented the lagoon (at least once since 2009) due to its excitement, view, and excellent launching potential on the crater's edge. But they regularly offer tours in Costa Rica. Watersports: Aside from bringing one's own gear, there are several hotels and hostels at the lagoon's edge that offers small sailboats, catamarans and kayaks. Although there are the occasional jet-skis, they are illegal, but not enforced. 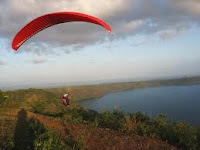 The Laguna de Apoyo is generally known as Nicaragua's most accessible and easiest nature reserve to enjoy. The negative side of this characteristic is that it is so unevenly protected. The Water: The lagoon itself is self-sustaining and does not have natural exits for its waters. This makes the ecosystem extremely fragile and easy to contaminate. A good example of lagoon degradation is the Laguna de Masaya, a heavily polluted crater lake located nearby. In recent years, several attempts of commercial fishing have harmed the waters. For example, in 1997, a discontinued Tilapia production project approved by MARENA caused great concern when the fish were able to escape, contaminate the lagoon, and affect algae production due to their appetite. Gasoline Powered Watercraft: According to a 2004 report by MARENA, there were 32 registered motorboats that used approximately 80 gallons of gasoline per month. Their findings showed that these boats added both fuel and oil contamination to the waters. Properties: As of 2010, there are eight different hotels and hostels at the bottom of the crater. This does not count the number of private houses in the surrounding area. Without any regular public system for waste disposal, most of the septic tanks are slowly leaking and contaminating the lagoon with human waste. Deforestation: A problem in many areas of the world, the area surrounding the lagoon is not immune. Deforestation and haphazard construction is harmful to the soil since forests act as a natural filtration system for rain water. Without this "filter," the water simply washes anything down the slopes and into the lagoon. 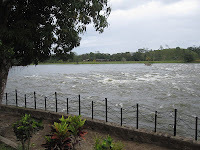 Again, examples of this slow death in natural lagoons can be seen at Laguna de Masaya and Laguna de Tiscapa in Managua. Both were slowly contaminated and are now considered irreversibly damaged. Fortunately, there are organizations now primarily focused on replanting the hillsides with seedlings and small trees. Today, with the resurgence of the tourism industry in Nicaragua, plans are slowly being created to protect this natural wonder. AMICTLAN (Asociación de Municipios Integrados por la Cuenca y Territorios de la Laguna de Apoyo, Nicaragua) is a strong organization that is fiercely working to protect the long-term future of the lagoon. As of 2010, after pressure from foreign investors and AMICTLAN, MARENA has begun an enhanced management plan for the lagoon. 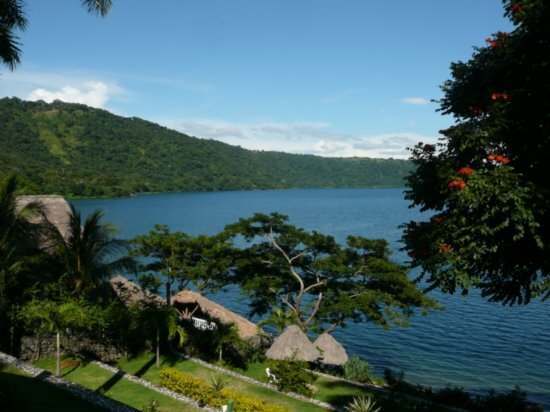 Perhaps with continued support from other environmental organizations in Nicaragua, the clear, blue waters of Laguna de Apoyo can be enjoyed for generations to come. San Pedro Sula, the second largest city in Honduras, serves as both the capital of the Cortés Department and the commercial hub for the region's coffee, banana, tobacco and sugar industries. It is located in the northwest corner of the country approximately 165 miles from the capital city of Tegucigalpa and 37 miles south of Puerto Cortés on the Caribbean Sea. With many of the country's attractions conveniently located close to the city, many visitors tend to choose flying into San Pedro Sula's Aeropuerto Internacional Ramón Villeda Morales instead of Tegucigalpa, which is further south. Today, San Pedro Sula is an active city of the more than one million people and it is rapidly growing due to the focus on business and regional agriculture. The majority of its main roads in and out of the city are well maintained, which provides an easy drive to not only the western and northern regions but to the rest of Honduras as well. For those wishing to make San Pedro Sula a base while traveling, the following hotels provide luxury accommodations, fine dining, and a variety of upscale amenities, all within easy access of the region's beautiful attractions. 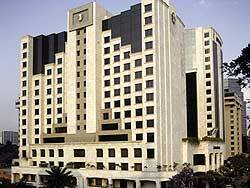 Real InterContinental San Pedro Sula - This luxury hotel has been certified by the Honduran Tourism Institute as the only five-star hotel in Honduras. It is conveniently located near one of the largest and most exclusive shopping centers in the city (Mall Multiplaza) and just seven miles from the Aeropuerto Internacional Ramón Villeda Morales. Each of its 149 luxury guestrooms and suites are individually designed with the "Best Rest" standard, which includes soundproof windows, a feather-bed mattress with 300 thread-count Egyptian cotton sheets, and goose feather and down pillows. Additional amenities include 42-inch flat-screen televisions, high-speed Internet and access to a private swimming pool and fitness center. It also provides a 24-hour business center and the on-site Bambu restaurant, which offers Central American- and Caribbean-influenced cuisine. The attention to service, the luxury amenities and its convenient location makes this hotel one of the best in the area. It is located at Colonia Hernandez and Boulevard del Sur. 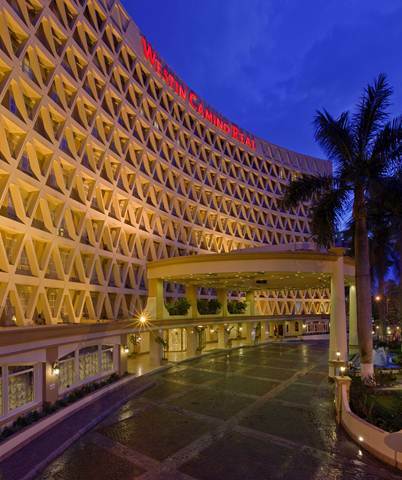 More information can be found at their website: Real InterContinental San Pedro Sula. 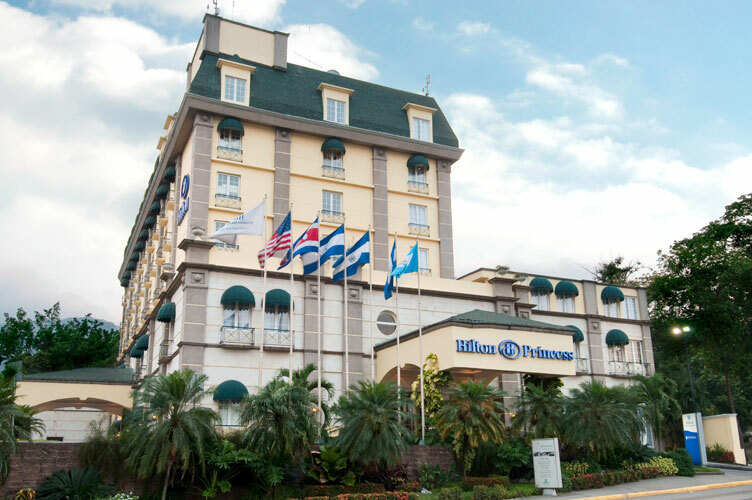 Hilton Princess San Pedro Sula - Located near the most important corporate centers in the city, this hotel includes 124 luxury guestrooms and four suites with amenities such as Hilton Serenity Collection upscale bedding, Crabtree & Evelyn and La Source bath products, and wireless Internet. The executive rooms on two private floors offer larger rooms of up to 323-square-feet in size with access to the Executive Lounge, complimentary refreshments and breakfast, and marble bathrooms complete with bathrobes and slippers. All guests have access to the outdoor swimming pool, fitness center, the Garden Court Restaurant, and Clancy's Bar, which provides live entertainment on selected evenings. For added convenience, the hotel also includes a car rental desk and friendly staff who can provide a wealth of information about the city's nearby attractions. It is located at the Avenida Circunvalación, 10 Calle S.O. More information can be found at their website: Hilton Princess San Pedro Sula. 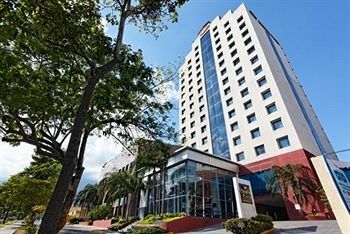 Crowne Plaza Hotel San Pedro Sula - Catering to both business and leisure travelers, this 14-floor hotel is located minutes from the Expo Centro (the city's major convention center). It also offer easy access to the Lancetilla Gardens, Punta Sal National Park, and the Guamilito Market, which is one of the best places in the city to purchase souvenirs and artwork. Its 122 luxury guestrooms and three suites provide panoramic views of the city and includes amenities such as wireless Internet access, a full-service business center, a fitness center with a full-service spa, and even an on-site casino. The Rio de Piedras Restaurant specializes in sushi and also provides one of the city's best breakfast buffets. The property also includes 1,200-square-feet of meeting space for business and private functions for up to 300 people and includes personalized service from the Crowne Meetings Director, who can tailor any aspect of the event to the client's needs. With all of its luxury aspects, it is easily one of the best hotels in the city. 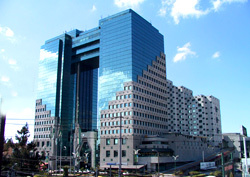 It is located at Boulevard Morazán, 11 Avenida 1 Calle. More information can be found at their website: Crowne Plaza Hotel San Pedro Sula. 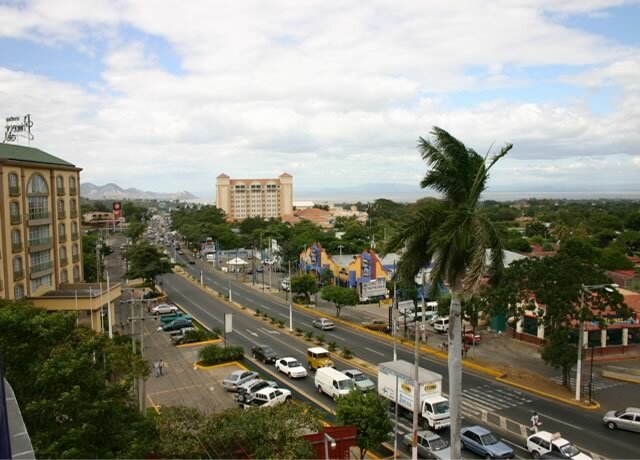 Managua, the capital city of Nicaragua, is home to more than a quarter of the entire country’s population. Due to its precarious position above 11 different fault lines, it seems that whenever the city had successfully rebuilt itself after one earthquake, it was only knocked right back down again by another. But on December 23, 1972, a massive 6.2-magnitude earthquake devastated Managua with more than 5,000 killed, 20,000 injured, and more than 250,000 left homeless. To this day, portions of its older districts still remain eerily abandoned. The overall result is an interesting combination of crumbling ruins inhabited by the poor, quickly built concrete structures for a wide variety of businesses, and some of the region’s best shopping malls and luxury hotels. 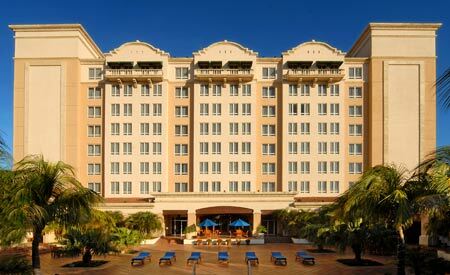 Each of the following hotels in Managua offer luxury accommodations, fine dining and a variety of upscale amenities. With convenient locations that also offer its guests with top-quality personal service, it is easy to understand why these are considered by many as some of the best hotels in the city. 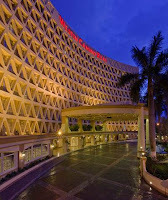 Real Metrocentro Managua - This award-winning, five-star accommodation is known as one of the most luxurious in the city. It is conveniently located in the entertainment district adjacent to the country’s largest shopping mall. Known for its high-quality, personal service for both leisure and business travelers, it offers 157 luxury guestrooms and suites with amenities such as soundproof windows, goose-down pillows, feather mattresses with Egyptian-cotton sheets, and 37- or 42-inch flat-screen televisions. It also includes an on-site fine-dining restaurant (Voltes) that provides a choice of an all-day buffet or an a la carte menu. In addition, the hotel includes a beautiful and private swimming pool as well as a state-of-the-art gym. More information can be found at their website: Real MetroCentro Managua. 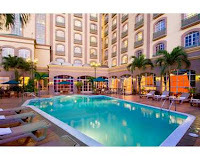 Hilton Princess Managua - This luxury hotel is located within walking distance of both the entertainment district on the Carretera a Masaya, and the business district that includes the BAC/Credomatic complex, Invercasa and LAFISE. It offers 104 elegant guestrooms and three luxury suites with views of the city. There are two executive floors that provide a complimentary American breakfast along with appetizers and cocktails. Additional amenities include wireless Internet, 24-hour room service, a fitness center and a private outdoor swimming pool. In-room perks include Hilton Serenity luxury bedding and Crabtree & Evelyn bath products. More information can be found at their website: Hilton Princess Managua. 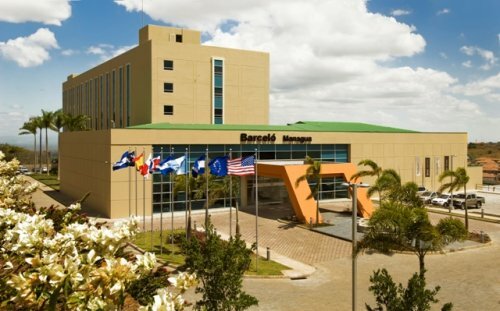 Barceló Managua - This luxury hotel is located in the exclusive Villa Fontana area of Managua and offers panoramic views of the city from its luxury suites. Amenities include king-size beds, in-room Jacuzzis, wireless Internet, and mini-bars. Guests also have access to two on-site restaurants: La Fontana (serving a wide variety of dishes buffet style) and Kyotto (serving delicious Japanese cuisine). 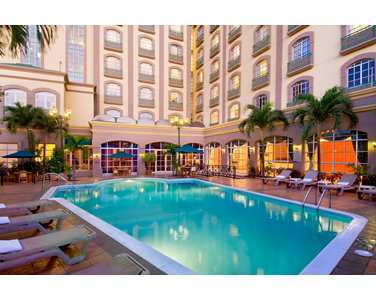 It is also five minutes from the upscale Galerías Santo Domingo shopping center. In addition, the hotel provides rental car services as well as shuttles to both the shopping center and airport, which is 20 minutes away. 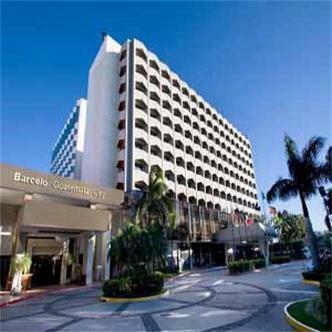 More information can be found at their website: Barceló Managua. 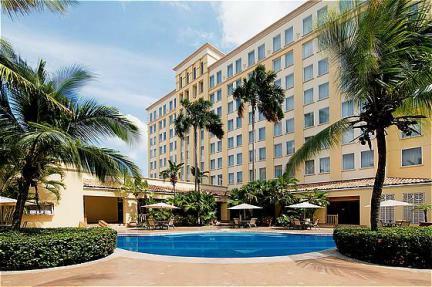 Crowne Plaza Hotel Managua - This luxury hotel is known for its distinctive shape reminiscent of an ancient Mayan Pyramid. Originally the Hotel InterContinental, it offers views of the city from its hillside location. The 140 contemporary guestrooms and 43 luxury suites include amenities such as wireless Internet access, a full-service health and fitness center and three on-site restaurants. It also provides a beautiful private swimming pool and one of the largest convention facilities in Central America with a capacity of up to 3,000 guests. More information can be found at their website: Crowne Plaza Hotel Managua. 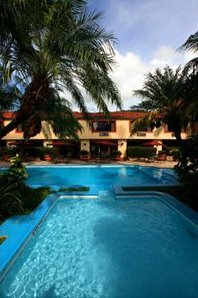 Hotel Los Robles - For those who prefer a personal hotel stay away from the larger hotel chains, this boutique hotel is located in a colonial Nicaraguan home within a quiet residential neighborhood. It offers 14 guestrooms complete with antique furniture and artwork situated around a quiet tropical garden and a soothing fountain. Amenities include a delicious breakfast, a private patio, 24-hour room service, wireless Internet and even a complimentary cell phone! It prides itself in personalized service and attention for each of their guests and the home is only a few minutes away from the Carretera a Masaya and the Metrocentro, one of Nicaragua’s largest shopping centers. 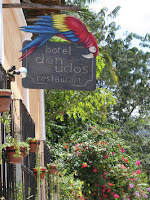 More information can be found at their website: www.hotellosrobles.com. The Copán Ruins, also known as the Ruinas de Copán, is located in western Honduras just seven miles from the border of Guatemala. 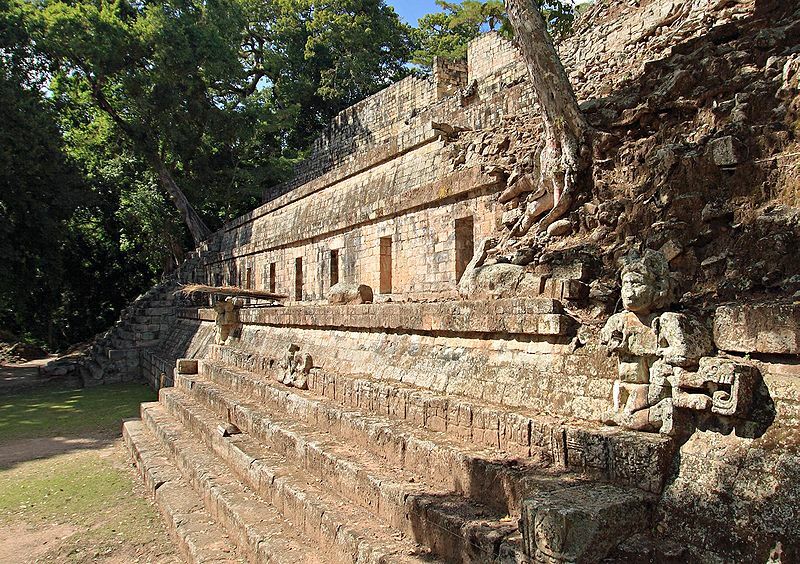 Dating back to A.D. 400, the city was once a thriving metropolis that served as the center of southwestern Mayan territory. Today, the preserved portion actually covers a substantial area even though it is just a small fraction of its original size. But it still includes a variety of decorative stone temples and plazas with some of the finest detailed sculptures in the world. Archaeologists are still making discoveries at a rate of approximately one per month. For those who come to enjoy the wonder of these archaeological marvels, several hotel accommodations are conveniently located nearby. Each of these small to medium-sized hotels in the town of Copán Ruinas provide individually designed guest rooms, high-quality and friendly service as well as access to additional tours of the region. Hacienda San Lucas - Situated in the nearby hills above the Copán Ruins, this former century-old residence was converted into reputable eco-lodge in 2000. It is managed by Flavia Cueva, who continues to primarily focus on sustainable development and cultural preservation and it shows in even the smallest details of the property. It offers eight individually designed guest rooms with private bath, hot water, solar lighting and hand-crafted furniture made from locally grown cedar. Guests have a wide variety of private sitting areas with hammocks for extra relaxatio. To add to the intimacy, each of the guest rooms are candlelit. The on-site restaurant specializes in five-course candlelight dinners made from fresh ingredients all grown locally. The traditional Honduran tamales are a real treat and make sure to pair your choices with the variety of South American wines. The Hacienda San Lucas has been praised by a number of travel publications including the New York Times and Travel and Leisure magazine. More information can be found at their website: www.haciendasanlucas.com. Hotel Marina Copán - Overlooking the Parque Central in the town of Copán Ruinas, this charming hotel is one of the most convenient when visiting the ruins. It offers 49 guest rooms ranging from single, double, and triple occupancy rooms to the luxury Presidential Suites complete with spacious marble bathrooms, dark wooden furniture and comfortable bedding. Each guest room also includes both hot and cold water, cable television, and air conditioning as well as Internet access. Guests can also enjoy the landscaped outdoor swimming pool, Jacuzzi, and gym. The on-site Glifo's Restaurant, is a fine-dining restaurant specializing in traditional Honduran meals as well as a variety of international cuisine. The Jaguar Venado Bar, located next to the swimming pool even includes a live marimba band on the weekends, which only adds to the overal tropical feel of the hotel. More information can be found at their website: www.hotelmarinacopan.com. Clarion Copán Ruinas - Formerly known as the Hotel Posada Real de Copán, the Clarion Copán Ruinas is the one of the closest hotels to the ruins. This hotel includes more of a business atmosphere much like any Clarion hotel back home. It offers 78 guest rooms (double, triple and quadruple occupancy) with views of tropical gardens and amenities such as air conditioning, flat-screen plasma televisions, wireless Internet access, and an outdoor swimming pool with hot tub. There are also hot-tub suites to make your stay extra special. The on-site Las Ruinas Restaurant offers a wide variety of international cuisine with an outside dining area that includes either views of the mountains or the landscaped grounds. The hotel also provides a full-service, flexible space for both private and business functions for up to 150 people. More information can be found at their website: Clarion Hotel Copán Ruins. Hotel Don Udo's - Located two blocks south of the Parque Central in the town of Copán Ruinas, Hotel Don Udo's is a convenient location for exploring both the town as well as the ruins. The ruins are just a five-minute walk away. This European-style hotel includes 16 cozy and individually designed guest rooms (single, double, junior suites and suites) complete with amenities such as hot and cold water, purified drinking water, air conditioning and wireless Internet access. Guests have access to Copán's only sauna, plenty of private sitting areas and hammocks as well as an on-site restaurant that specializes in top-quality steaks, seafood, regional dishes and homemade pastas. The third-floor sun deck is one of the highlights of the hotel, which provides spectacular views of the Copán Valley. More information can be found at their website: www.donudos.com. 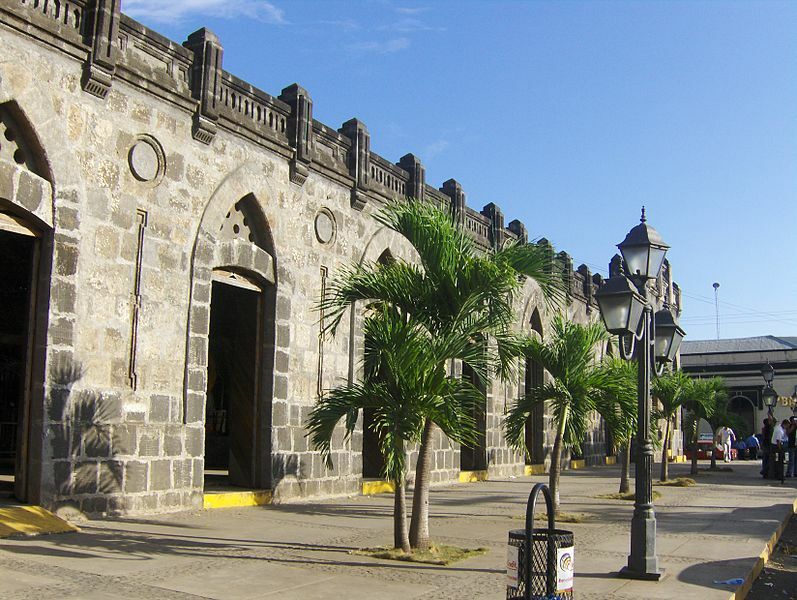 Masaya, located approximately 18 miles southeast of Managua in Nicaragua, is a medium-sized city known as The Cradle of Nicaraguan Culture. This is mostly due to its artesanías (arts and crafts), which draws visitors from all over the country as well as tourists on their way south to either colonial Granada or the beaches of San Juan del Sur. Although there are other smaller artisan markets within the city, the majority of tourists tend to flock toward the Mercado Artesanías or also known as the Mercado Viejo. Located one block east of the Parque 17 de Octubre, it was built in 1888 as a gigantic Gothic structure reminiscent of a Spanish fortress. It covers an entire city block complete with turrets, towers, and enormous gates. 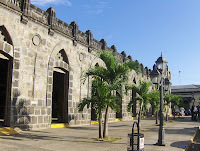 It was formerly used as a regular market, but in 1978, the National Guard during Somoza's dictatorship practically destroyed it. Left abandoned for almost two decades, it was fortunately renovated in 1994. 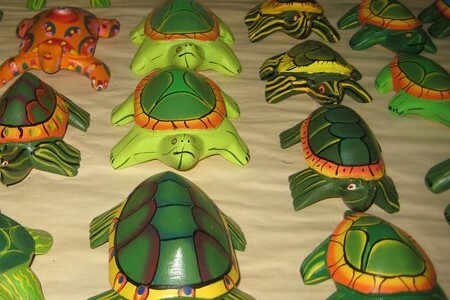 Today, it is packed with stall after stall of Nicaragua's finest arts and crafts. The large, open-air walkways are visitor friendly and somewhat commercialized so be prepared to pay higher prices compared to other markets around town. The merchants are fully aware that busloads of tourist stop by with plenty of money to spend. So be aware because the prices can be somewhat on the high side. For those who desire a more authentic market experience, with crowded stalls, sometimes stifling heat, and more standard goods, the Mercado Municipal Ernest Fernández is located less than a quarter-mile east of the Mercado Artesanías. There you will find stalls of artesanías with the owners ready to bargain to some of the cheapest prices around. In addition, it is the best place to enjoy the comedores (cheap eateries) that sell everything from carne asada, rice and beans, and every type of snack available. The setting is far less flashy and well worth the visit, but just be aware of your valuables since the crowds can be a haven for pickpockets. 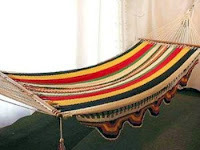 Hammocks: The hammocks are offered in colors ranging from plain to festive, and consist of two overall designs: the one-person version that hangs like a swing, and the large one that can comfortably accommodate two people. The hammocks have become one of Nicaragua's trademark crafts and even though traveling back home with them can be a slight hassle, the effort is rewarded once you take your first nap in one. Black Ceramics: This heavy ceramic pottery is specific to the cities of Jinotega and Matagalpa in the north. Although these crafts are not originally from Masaya, there are plenty of stalls selling these black ceramics for a negotiated price. 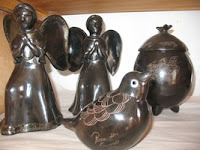 Crafted from volcanic clay, these crafts are formed into a variety of designs ranging from small figurines to large decorative pots, and then buffed and polished into their typical dark shine. Soapstone Sculptures: These beautiful, smooth sculptures are specific to the San Juan de Limay region. But as beautiful as they are, keep in mind that they can be very heavy. This can cause problems especially when shipping them back or carrying them around for the rest of your vacation. So make sure to plan ahead when traveling with them. Jícara Shells: These shells come from the first plants domesticated to the country of Nicaragua, and they are usually carved into interesting varieties of cups and bowls. Woodcarvings: These intricately designed carvings range in an almost endless variety of styles including everything from toys for children to elaborate religious artwork. A good share of the carvings comes in a tropical theme, which is not surprising since they primarily come from the indigenous Caribbean tribes. Paintings: Some of these paintings are produced by some of the finest Nicaraguan artists. Most focus on natural landscapes and everyday village life. The prices (also negotiable) can range dramatically depending on the level of the artist and the negotiating skills of the buyer. Natural Weavings: There are literally thousands of choices ranging from the pita hats of Camoapa to the reed mats of Masatepe. Again, they can be plain to highly decorative. Memorabilia: Every possible item that a Nicaraguan logo could be placed on, it is sold. T-shirts are especially popular and can be negotiated down to almost nothing. For those in the revolutionary spirit, the Che Guevara items are offered on jewelry, t-shirts, leather items and carvings. Some vendors claim that there are more Guevara items sold there than in Cuba. Organic Coffee: Unless a trip is planned to the Northern Highlands and Estelí, make sure to purchase some high-quality Nicaraguan coffee. It is some of the best in region. Finally, if the timing is right, and all of the shopping is done, try to view the Noches Verbenas. Held on Thursday evenings, this free folk-dance exhibition includes excellent Nicaraguan marimba performances and freshly made traditional foods. In addition to the country's high-quality crafts, this festival can be the perfect end for a visit to this colorful city.